Many of you will already be familiar with my guest today. 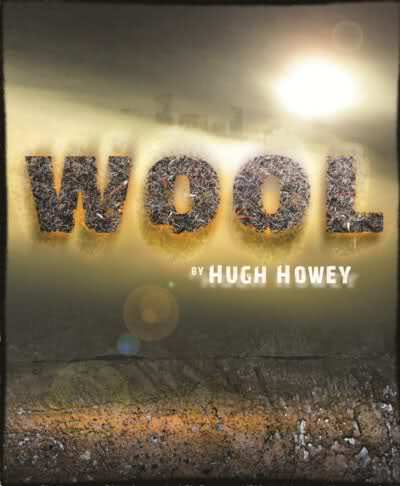 Hugh Howey's breakout success came with his indie series Wool which has sold like a bazillion copies and landed him on the New York Times bestseller list. 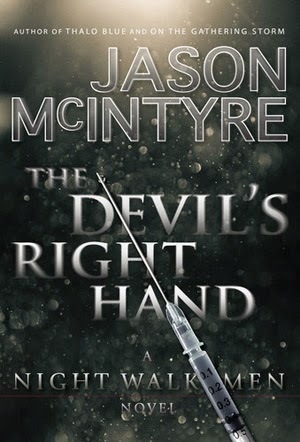 The series has been described as addictive and I can agree with that. Add to that, Mr. Howey is incredibly affable and approachable. He's one of the nicest personalities producing fiction and using social media today. As such, Hugh is gracious in sharing some time to chat with me today. So. Let's get started. Who's Hugh? I'm the author of Wool, which must be the oddest-named work of science fiction to ever grace the New York Times bestseller list. Which is saying a lot for that genre. If you've heard of the series, I'm honestly shocked. It's still surreal for me to find out that strangers are reading my works. Even zanier is the idea that Ridley Scott liked it enough to option the film rights or that Random House picked it up for a major hardback release in the UK. It's all beyond my wildest dreams. But with success comes responsibility. As such, you're working on a pile of new projects so we must know more about your writing habits -- given all the Wool jokes, have you heard the one about there being a sheep grazing outside your window as you write? I know you have a dog so maybe the sheep is jittery. Just curious. Ha! A sheep would be very appropriate as I just started writing the next book in the Wool series. My writing space ranges all over my house. I do most of my writing on a laptop, which means I'm usually sitting on the sofa in the living room or the small futon in my office. I also do a lot of work on my PC. My monitor is mounted on an arm, which allows me to prop up my feet while I write. I don't think I've ever crafted a decent sentence with my feet on the ground. I work best while lounging. And yeah, I just felt awash with guilt for admitting that. Careful! Your readers will fret. "Don't let Howey's feet touch the floor or he'll never write another word!" So there you are, feet up in the air. I'm picturing it now. You're relaxed, inclined. You must spin some tunes while you work. I don't listen to anything while I write. I try and place myself in my character's head, so silence or the white noise of a fan or AC vent work best. I break for lunch every day, almost always for a peanut butter and jelly sandwich and some water. Afterward, I normally take my dog for a walk around the neighborhood to clear my mind, and then come back and write some more. What are you working on these days? Barring a meteorite hitting your roof, when will it be out? I'm working on Second Shift, which is the middle book in a trilogy that predates Wool. I would say it's similar in tone to my previous Silo Stories, but each of them vary wildly in plot. It's definitely a far stretch from my last project, I, Zombie, which tells the story of the undead apocalypse from the monsters' points of view. I'll be sprinkling samples of Second Shift here and there soon, especially the haunting nursery rhymes that play a role in the story. 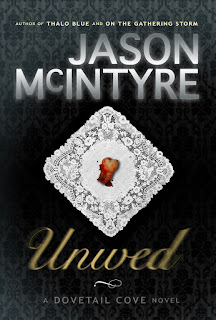 I also have the new cover art from Mike Tabor, which I'm happy to share here first. 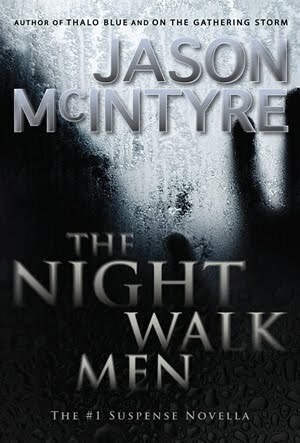 Barring a meteorite or a Mayan prophecy coming a bit early, the book should be out in October. That is a pretty awesome cover art, Hugh. Props to Mr. Tabor for a nice job. Thanks for the exclusive. As an appreciative mob of one for awesome covers, I salute you both. Back to the words for a moment. What do you think makes you such a unique writer in today's world of 'everyone and their dog' publishing books? I do a few things that I'm sure are inadvisable, which you might more politely label unique. I write across a wide variety of genres, from fiction to science fiction to space opera to horror. I even started my first romance novel. 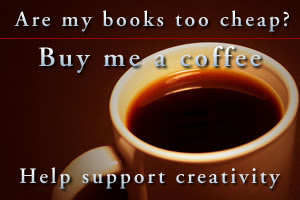 This is considered a bad idea according to publishers and many indie authors, but my goal is to write the stories I would enjoy reading, so genre doesn't matter to me. So far, the diversity has worked. I regularly hear from people who read across my body of work and find that they enjoyed a type of story they wouldn't have guessed they would. In order to get all these stories out of my head, I write every single day. I try and get four to six hours of writing done before lunch, and anything after that is gravy. The rest of my day is spent responding to emails, handing business stuff, doing interviews, connecting with readers on Facebook, Twitter, and forums, and signing books to ship out to readers. I also have a blog that I try and keep up with. Somehow, sleeping and eating are squeezed in there. What does your lovely wife think of you being a writer? And does your pup really understand what they heck you're doing at home so much these days? My wife loves that I write, mainly because she enjoys reading my work. She is my muse and the reason I completed my first work. While serving as a book reviewer for a crime site, I began working on my first novel, Molly Fyde and the Parsona Rescue. My wife would come home from work, read what I'd written that day, and demand more. This continued until I had a completed manuscript, and I've been writing steadily ever since. The real beneficiary of my becoming a full-time writer has been our dog. Rather than being left alone for most of the day, she now gets to pal around with me, follow me from room to room, go to the post office to ship off signed books, and beg me for another walk. So, I live in a very supportive household. Of course, it bugs my wife when I want to work through the weekend and every single night, so she has to drag me away from the computer now and then. But overall I'd say she's thrilled for me (and maybe even a little proud). Of course she's proud! This is all fantastic info, Hugh, but come on! I know folks are going to want to know even more and find your books. Where can we all track you down? The best place to follow me is at: http://www.hughhowey.com. There are word count meters so you can see how far along I am on a project. I also tweet: @hughhowey, and you can keep up with me on Facebook: www.facebook.com/hughhowey. If they ever figure out cloning, sign me up. I think a good many of your readers would love it if you were cloned. While you've definitely been prolific the last while (and your website shows you've got multiple pots bubbling on the stovetop) many crave even more of your writing. Thanks a million for stopping in to chat. I certainly can't speak for everyone reading, but I know I've enjoyed this peek behind the curtain on your world. It's definitely an enchanting view beyond that of your novels and stories. Hugh and I have already become FB friends as a result of this interview. I look forward to learning more about him. Cheers, Marty! Thanks for stopping in to make a new buddy.